Law Web: Whether court should direct parties to deposit costs in legal services authority? Whether court should direct parties to deposit costs in legal services authority? We would however like to refer to two aspects of the order of the High Court relating to costs. The first is, whether a court, having reached a conclusion that a party deserves to be prosecuted for perjury, should let him off with what it considers to be a stiff penalty by way of costs, on the ground that courts are overburdened with work. We propose to leave open for the present, this question involving moral and ethical issues. 10. The second aspect relates to the recipient of the costs. In para 38 of the impugned judgment, the High Court specifically stated that it had decided to saddle the parties with heavy costs to be paid to the state which spends money on judicial infrastructure. Having said so, in para 39, the High Court directed that the costs should be paid to the Delhi High Court Legal Services Committee. The High Court Legal Services Committee, a statutory authority under the Legal Services Authorities Act, 1987, is not the `state' that spends money on providing judicial infrastructure, referred in the earlier para. Once the Court held that costs had to be paid to the state, it should have directed payment of the costs to the state and not the High Court Legal Services Committee. 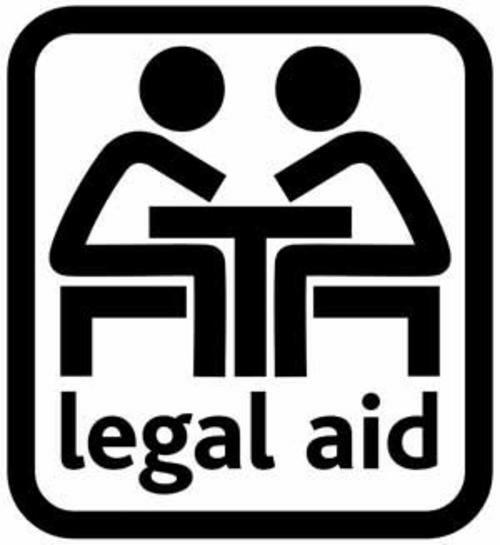 No litigant should be made to feel that heavy costs are being levied in some cases by Judges to create a corpus or expense fund for the High Court Legal Services Committee or the State Legal Services Authority. While levy of an uniform token sum, as costs payable to the Legal Service Authority/Committee by way of a deterrent fine, in regard to non-compliance with procedural requirements, delays in re-presentation of papers etc. may not be objectionable, levy of huge amounts as costs in selected cases, made payable to the Legal Service Authorities, may invite adverse comments and evoke hostility to legal services in general. We have also come across cases of costs being levied and made payable to some non-party charitable organizations. Levy of such costs should be avoided. 11. The Delhi High Court Legal Services Committee when it receives the sum of Rs. Two Lakhs as costs from the parties, shall make over the same to the state government as directed in para 38 of the impugned judgment. Let a copy of this order be sent to the Delhi Legal Services Committee, for compliance. R. V. Raveendran J., Mrs. Amita Gupta, learned counsel, appears for respondents and waives notice. 2. The petitioner filed a suit for specific performance of an alleged agreement of sale dated 15.7.2003. The trial court dismissed the suit by judgment and decree dated 19.5.2008. The High Court dismissed the petitioner's appeal on 29.9.2008. Both courts held that petitioner had not approached the court with clean hands and that he had failed to prove any concluded contract for sale. High Court found that the defendants in the suit were also not above board in their conduct. It found that both sides were guilty of having lied on oath and deserved to be prosecuted. On the ground that courts were over-burdened with litigation, the High Court decided that instead of directing prosecution, heavy costs should be levied on both petitioner and respondents "to be paid to the state which spends money on providing the judicial infrastructure." It then proceeded to impose exemplary costs of Rs.1,00,000/- on the petitioner and Rs.1,00,000/- on the respondents, and directed that the costs should be deposited with the Delhi High Court Legal Services Committee. 3. Feeling aggrieved by the dismissal of his appeal, the petitioner is before this Court. On merits, we find that the concurrent findings of the trial court and the High Court do not warrant interference and therefore this is not a fit case for grant of leave. 4. The learned counsel for the petitioner submitted that levying costs of Rupees one lakh against the petitioner was not warranted. He submitted that as the appeal before the High Court arose out of a civil suit, costs were governed by section 35 and 35A of the Code of Civil Procedure (`Code' for short) and cannot exceed what is leviable under those provisions. 5. Under section 35 of the Code, award of costs is discretionary but subject to the conditions and limitations as may be prescribed and the provisions of any law for the time being in force. Under section 35A, compensatory costs for vexatious claims and defences may not exceed to Rs.3,000/-. Further the primary object of levying costs under sections 35 and 35A CPC, is to recompense a litigant for the expense incurred by him in litigation to vindicate or defend his right. It is therefore payable by a losing litigant to his successful opponent. When an appellant or a plaintiff has already paid the prescribed court fee in regard to the appeal or suit, to the state at the time of institution, it is debatable whether any costs can be awarded to the state by way of penalty, in a litigation between two private parties. Courts will have to act with care while opening new frontiers. 6. One view has been that the provisions of sections 35 and 35A CPC do not in any way affect the wide discretion vested in by High Court in exercise of its inherent power to award costs in the interests of justice in appropriate civil cases. The more sound view however is that though award of costs is within the discretion of the court, it is subject to such conditions and limitations as may be prescribed and subject to the provisions of any law for the time being in force; and where the issue is governed and regulated by sections 35 and 35A of the Code, there is no question of exercising inherent power contrary to the specific provisions of the Code. Further, the provisions of section 35A seems to suggest that even where a suit or litigation is vexatious, the outer limit of exemplary costs that can be awarded, in addition to regular costs, shall not exceed Rs.3000/-. It is also to be noted that huge costs of the order of Rs. Fifty thousand or Rs.One lakh, are normally awarded only in writ proceedings and public interest litigations, and not in civil litigation to which sections 35 and 35A are applicable. The principles and practices relating to levy of costs in administrative law matters cannot be imported mechanically in relation to civil litigation governed by the Code. 7. The present system of levying meagre costs in civil matters (or no costs in some matters), no doubt, is wholly unsatisfactory and does not act as a deterrent to vexatious or luxury litigation borne out of ego or greed, or resorted to as a `buying-time' tactic. More realistic approach relating to costs may be the need of the hour. Whether we should adopt suitably, the western models of awarding actual and more realistic costs is a matter that requires to be debated and should engage the urgent attention of the Law Commission of India. 8. We do not however propose to examine or decide the above issues here, except to observe that courts should not exceed or overlook the limitations placed by the Code with reference to costs in civil litigation. In so far this case is concerned, even though the order relating to costs may not strictly be correct, we do not propose to interfere with the same, in exercise of our jurisdiction under Article 136, as the order has not resulted in any injustice. It is stated that the respondents have already deposited the costs. The time for deposit of costs by the petitioner is extended at his request by a month from today. 9. We would however like to refer to two aspects of the order of the High Court relating to costs. The first is, whether a court, having reached a conclusion that a party deserves to be prosecuted for perjury, should let him off with what it considers to be a stiff penalty by way of costs, on the ground that courts are overburdened with work. We propose to leave open for the present, this question involving moral and ethical issues. 12. With the above said observations regarding costs, the special leave petitions are dismissed.